One student from each of the three schools (Delta Elementary, Delta Middle School and Delta High School) were recommended as “Students of the Month” by building faculty. Jensyn Gillen, a third grade student, was recognized for is active involvement in extracurricular activities and going above and beyond to help others. Kendall Sprow, a sixth grader, was commended for her involvement in class governments since the fifth grade and her never-ending attempts to make other students feel like they are important. Mariah Mattimore, a sophomore in high school, was recognized for her outstanding personality. “She always has a smile on her face,” stated Ryan Ripke. Aliyah Lopez, a high school student, was recognized for receiving the Franklin B. Walter Scholarship award. She was chosen as the recipient of the award because of the outstanding essay she submitted to a writing competition. Lopez also recognized teacher, Stephanie Rayfield, speaking about how much she has done for Aliyah over the years, and the special place she holds in her heart. Members of the bowling, boys basketball, girls basketball and wrestling teams were recognized for their achievements. Coach Ripke was also selected as NWOAL Coach of the Year. Investments continue to do well, but building repairs seem to have taken an unexpected toll, according to treasurer Matt Feasel. The district will be minimizing spending throughout the remainder of the year. With the school year nearly three quarters of the way finished, the district has spend approximately 63 percent of it’s budget. There will be two overnight school trips taken next quarter. 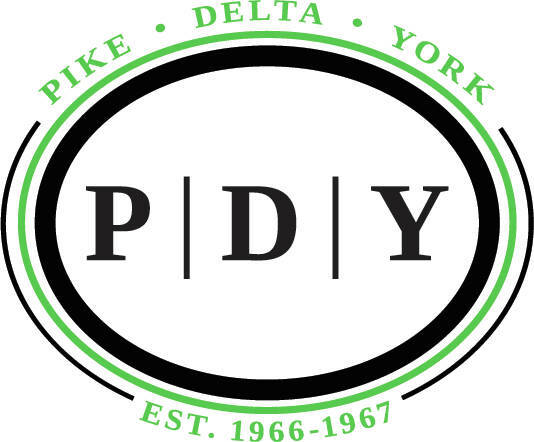 Members of the Pike-Delta-York FFA program will be touring the Ohio State Agricultural Technical Institute, and taking part in the State FFA Outdoor Power Equipment Career Development event. Members will leave for the trip on Monday, April 22, and return on Tuesday, April 23. The trip will be attended by Alan Leininger, who will act as a chaperone. The second trip will be taken by the Pike-Delta-York FFA Chapter, who will be attending the Ohio FFA Convention in Columbus. Their departure will be on Wednesday, May 1, and they will be arriving back home on Friday, May 3. This trip will also be under the supervision of Leininger. Leininger will be diving both groups of students to and from their destinations by school van. Superintendent Ted Haselman suggested that the district take action to withdraw themselves from the NwOESC Northwest Safety & Special Education Financing District Tax Levy. Due to the school district missing six of an allowed five school days, the final day of school, which had been planned to be a half teacher work day, will now be changed to a full work day. Students are not required to make up the missed day. If the district misses any additional days, however, 30 minutes will be added onto each school day from that point until the end of the school year. This is not a policy being mandated by the state, but an independent decision being made by the district. The “Read Across America” event took place on Friday, March 1 at the elementary school. Students as well as faculty attended school dressed in costumes themed after Dr. Seuss and his books. Appearances were made by various guest readers, including Haselman, Angie Belcher and Douglas Ford. Middle school students also attended as readers. An alternative assessment is being given to third graders who have not met the Third Grade Reading Guarantee requirements. Of the 21 students who have taken this alternative assessment, 14 have passed. Once this round of testing ends, the next steps will be determined. State testing for third and fourth grade begins the first week of April. Kindergarten registration will be April 25, and 26. At the middle school, all Student MacBooks have been updated for testing and routine maintenance. State testing for all grades, five through eight, is to be held throughout April, and carry into the beginning of May. Student Anthony Pelton has been selected to compete in the State Geography Bee. It was reported that nine first place, and one second place team advanced to the Destination Imagination state competition later this month. In the high school report, it was stated that the state-funded ACT was taken by juniors on Feb. 20. February showed the best attendance rates between all grades, 9-12, that the school has seen this year. Course requests are in from all students, and master scheduling is being completed. There were 67 students scheduled to attend the March 15 Student Council Lock-In, to help Coach Cory’s Backpack Buddies. Also, seniors will be taking part in “Real Money, Real World” on Thursday, April 18. This is a program in which students will have to budget their money, while encountering real-world obstacles, and end with a balanced budget. Government students will tour county government buildings on March 28.